It was a weird week. Things were just so scattered! I had to go to Belgium to do some legal residency stuff, so that threw us off a bit. By the way, Belgian fries and Belgian waffles are killer! Man, so lekker. And going to Belgium with the other missionaries was fun. I love hanging out with them and hearing some of the interesting things we all experience. Guess what guys? I played football! I know, it's hard to believe, but I really did. The only sister on a team of elders. We had a Turkey bowl on Saturday, and I was terrified. Oh gosh, I so didn't want to go. Especially because there are only two sister companionships in our whole zone. And heaven knows I'm just a little dancer. And elders are scary. But, if you pray, and just go in with confidence, you can literally get through anything. And I wasn't even terrible! My glory moments included leading the team in "tackles" (cmon, two hand touch, missionary football) and catching the ball in the end zone. Haha our zone is so fun! It was great to get to know the other missionaries better. And President Robinson is a pretty solid football player. Teaching is a bit slow... We've successfuly dropped just about everybody on our list. :) It's getting a tad frustrating, cuz I don't want my greenie fire to die out yet! But sometimes these people aren't very nice. This week is gonna be good though, cuz I'm not going to Belgium and we aren't playing football, so we will have normal finding time. And I'm gonna be a better, more focused missionary and then we can have the Spirit more and he will lead us to the prepared! Yay! They're out there, somewhere. We teach English lessons to these two little Muslim girls, Rana and Sumaya. Ah, love them. The other day, Rana was telling us how to lie and tell Sinterklaas that we are 8 years old so that he wiill bring us presents. Hahaha it was so darling. But then the next time, they laughed at us for believing in Sinterklaas and told us he wasn't real! What?! So heartbreaking! Who's been putting chocolate in my shoes then, huh? Haha then we did the hokey pokey in English and fell over from laughing so hard at ourselves. Also, we found this woman to teach! Crazy! And she invited us over to teach a lesson on her birthday! She wasn't there at first, so we talked to her sister's girlfriend, and then she showed up with two teenage girls. They fed us cake and talked to us, (and I could totally understand most of them! their Dutch was good) We tried to begin our lesson, but then she went to the bathroom. Suddenly, all these people started showing up. Before we knew it, we found ourselves in the middle of her birthday party! Everyone thought it was so nice that "these girls from the church" were there hahaha. We invited them all to church. :) None of them came, but hey, some day! Salvation Always gives second chances. It's bitter cold here, but the sun is still shining, and I'm pretty sure that's a blessing to me from God. I'll take it! This Southern Utah girl needs all the Sunshine she can get! The ward here is so good to us and feeds us and I love love my companion. Can't believe she leaves in two weeks. We have lots of fun with all these siilly experiences, and we learn a lot about patience together. :) Sister Clement is an eternal pit of patience. I love you! Happy Thanksgiving!!!! The rain has begun! Woo hoo! They have a wonderful transportation system here of trains and buses, but it costs the Church money each time we use them and my companion and I really like biking, plus biking is so much more convenient for going to see specific people. So yes, I am wet lots of times. :) Mama, my boots, and jacket, and tas...purse/bag! that's the word, are incredible! So I am plenty dry and warm. What a blessing. I went on exchanges to Den Haag this week, and it was nice, but, it strengthened my testimony of divinely chosen areas and companions. Coming back to IJmuiden and Zr Clement was like coming home! But Den Haag was super fun with Zr Otteson, and it was my first real rain day, so we went to our dinner appointment with an African woman named Ethlin, and she put our clothes in the dryer and gave us African dresses to wear. Haha it was one of my favorite experiences so far. We've dropped everyone that we had previously been teaching basically, so this week has been a week of finding! Yay! We do have one kid, Jesse, who lived with a Mormon family in Arizona for a year, and he is so darn close! I know he knows it's true, he's just an 18-year old kid so he's a bit..laid back about the whole thing still. We're trying to get him to come to church, but he's not too fond of 9:30 in the morning. We are also still teaching Natalia, a Ukranian woman who is looking for "the click," which she apparently isn't finding with either us or the JW's. We talked about the priesthood this week, and she says she doesn't believe in miracles in these days. She's also pregnant, and is sick a lot, so that helps none. We also have a family, Familie Gonzalez, in which the mother is a member but she got offended and hasn't returned to church, so her kids are inactive or not even baptized. We are just working on getting them to come back to church right now. I understand her fairly well, emotionally, but I can't really communicate with her verbally yet, so that's a little frustrating. Be good member missionaries! Give referrals! We can't seem to get those very easily. We asked all the people we had dinner appointments with (which, Grandma's prayers are working, we are so well fed! Don't even worry) for referrals, but we didn't get any. But we worked with the Haarlem elders on Saturday and they told us to look up these two women in the area, and now we have appointments with them! Sometimes things don't come the way you expect them to. Sinterklaas has come! He comes from Spain for his birthday (why he comes to Nederland, I don't know) so he comes in November and stays til December 5. It is bigger than Christmas here, and all the kids are so excited. It's so cute to see them all dressed up in little elf-like clothes! And they have very yummy speculoos flavored things everywhere (it's kind of like gingerbread), so that is delicious. I can't believe I'm halfway through a transfer. Zr Clement can't leave so soon! I still need her! It's crazy how quick change is here. But it's going good! I'm happy and just laugh at everything all the time, because sometimes it's so funny to be a little awkward missionary thrown into this strange culture with other awkward kids trying to preach the gospel. Ah, I love it. I hope all is well back in America. I hear it's cold, and I can understand your pain. :) Is Thanksgiving this week? I don't even know. But Happy Thanksgiving! I hope you find much to be thankful for and enjoy basking in the warmth of good family and friends. I love you very very much and pray that your lives are abundantly blessed. Each year we ask parents and friends of our missionaries to ship Christmas packages early to ensure they are here by Christmas. We are asking parents and friends to please send all Christmas packages to the Mission Office and are asking that packages arrive on or before December 1. This insures that your missionary will get the package for Christmas without problems. Please address the package as below and also mark on the outside of the box “Christmas Package”. We have had many inquires as to why we request you to send ALL packages to the Mission Office and not directly to the missionary. Your missionary is out of the door every morning by 11:00 am. Many times they do not return until 9:00 or 9:30 pm. There is usually no one at home to receive and sign for the package. Here in the Netherlands and Belgium, they do not leave packages on the doorstep or with a neighbor as they do in the USA. The packages are taken back to the postal and a second attempt may or may not occur. When the missionary receives notice that a package is at postal, it requires the missionary to go to the postal to pick up the package and usually not on a P-Day. Many times it is necessary to pick the package up before the next P-Day, which requires your missionary and companion to use the Lord’s time to do a personal errand for one missionary. Travel to the postal and back to the apartment may be out of the way from the area they are working. Another problem is how to get the packages home on their bikes, so many times they have to walk and use mass transit, which is an added expense. Another issue is if a package is sent to an apartment and your missionary is transferred, the package may arrive after the missionary has left the area. If this is the case, your missionary may or may not get their package in time for Christmas. When you times this by 150 missionaries, it is obvious the problems it creates in the mission and the amount of time it takes from the missionary work which is why your missionary is here serving. By sending packages to the Mission Office there is someone here to sign for the package and if necessary, and we can track missing packages. By sending packages to the Mission Office we can also monitor that ALL missionaries will be receiving Christmas Packages. We deliver the packages to our missionaries at our Christmas Zone Conference, which is after transfers in December. Another issue we have at Christmas—there are some missionaries that receive 7-10 packages from family and friends. Please be mindful--some missionaries receive nothing from home, but do receive a small package from the mission for Christmas. It is very disheartening when two missionaries are companions under such conditions. Also, if a missionary receives all these packages at the Christmas Zone Conference, it is impossible for him or her to transport those on public transportation back to their apartment along with all the supplies they order from the office to do missionary work. Many times they are serving in an area that requires a 3-hour train and bus ride to get home. Please be mindful. We ask that you talk with family and friends and help everyone understand the logistics of our mission. Our rule: If it fits in a mail slot, (Christmas Cards, letters, pictures, etc.) feel free to send it to your missionary’s apartment. If not, please send it to the Mission Office. We will deliver Christmas packages at the Christmas Zone Conferences. If you have something special—a family tradition that begins on December 1st and you want your missionary involved—then plan on getting that package to the office by November 15th. We do not open Christmas packages to remove certain items and deliver it to your missionary early. We have Zone Conference the last week of November and again after December 15th. We deliver packages to missionaries at those times only. The next delivery after that will be in January 2015. Just a reminder that each package valued at $40.00 or more incur local customs charges which along with any COD costs will be deducted from your missionary’s monthly missionary support funds. We encourage you to be mindful as you purchase for your missionaries. You may wish to include items that they in turn can share with investigators and / or church members. Again, not all missionaries receive the same support from home. Perhaps including something for other missionaries could brighten someone’s Christmas. Missionaries’ focus is on giving of themselves during Christmas, not so much about getting, but they all like to be remembered. Thank you for your love, prayers and support for your missionary and also for the Belgium Netherlands Mission. President and I wish you the best as you prayerfully prepare your missionary’s Christmas package. Time is short vandag, so ik zal a kort brief schrijven to all of you, and hopefully write more personally next week. Oh! Letters are about a $1 to send, so my address is: Sister Johanson Grevelengenstraat 6 1972sk IJmuiden, Nederland. Samyo! Goede zo! What a cool kid you are! I'll start putting the date on my letters, sorry bout that. Halloween sounds cool. HAPPY BIRTHDAY this week!!!!! Amm my pal. I love your pictures. I hope Halloween was fun. Your ninja costume looked great. Thanks for the email, Snan, much appreciated. Yay play! Can't wait to see it in a year and a half. You are doing wonderful things! Stay strong, my dear! God is proud of you. HAPPY BIRTHDAY last week DAD!!!!! I can't believe how young you guys still are. I hope your birthday was nice! I thought of you, and yelled happy birthday to you from Europe to America. Maybe you caught that on the wind or somethin :) Ha some other time I will have to compare first areas with ya, cuz it sounds like we had some similar circumstances. Momma thanks for the pictures! We are so lovely! Ah, I miss you pals. Your weeks keep getting busier, not easier. Kinda dumb. I hope it was a good week though, and I hope this week is better. Whoa parentals. Those were some pretty big letters. Keep me updated, I'm now anxious to see what's gonna happen amidst our family in the next little while. NEDERLAND!!!!! Ah, is it wonderful. So my first area is IJmuiden (eye-moud-eh) and it is very near the coast, kind of Industrial, but pretty in it's way. My companion is Sister Clement! She was roomies with Deb Hutchins at BYU! Crazy! She is wonderful wonderful, but, this is her last transfer! She goes home soon! Haha I'm pretty darn positive she's a type 1. Funny, huh? For some reason I never thought I'd have a type 1 companion... So she is a fun time. :) She likes adventures. On Halloween, she made me dress up and we made cupcakes that her mom sent her. I will send pictures when I get to a different computer. So, biking is nice. No really, it is! And we do it a lot a lot a lot! We are kinda a farther area, so we are on our bikes a lot of the day. We have to ride for an hour to get to church in Haarlem. Elder Silva and Elder Bishop (also his last transfer) are the new missionaries there, so we eat dinner and work with them a lot and it's so fun! Gah investigators..nix, basically. Working on it! Haha I try and tell everyone that I'm from America and that we celebrate Thanksgiving in November, and ask them what they're thankful for. That usually leads to some sort of gospel discussion easily, in which Sister Clement does most of the talking and I smile... People are pretty nice here though. And tall! Heavens, they're tall. And have delicious delicious food! Ah, this is my place. Bikes, and tallness, and good food. My body is much appreciating these things after the MTC. There's so much I'd love to tell you!!! But tijd is kort. Ask me things! Tell me things! I love it all. You are so wonderful! I'm so proud of you! Thank you for loving me and remembering me. I dream about talking to you all every night, it's a little strange, but then the next day I feel like I've just seen you, and then Í'm not sad. The mission is awesome! I hope it just gets awesomer. 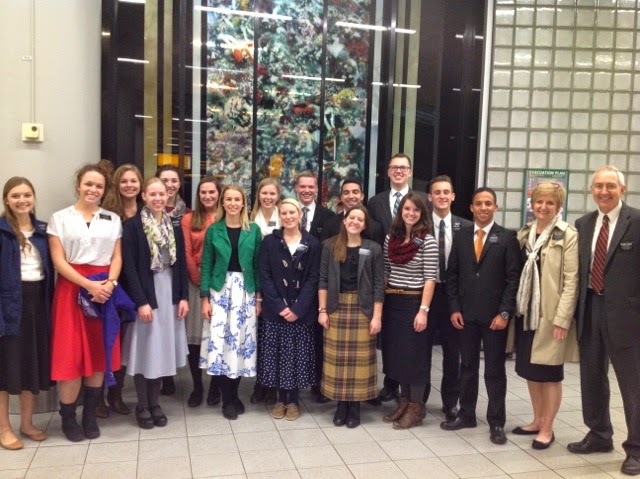 Your missionaries have arrived safe and well in the Belgium Netherlands Mission. We are extremely impressed with their attitude, preparation and diligence. They began working in their new area on Wednesday with our finest missionaries as trainers. They will write to you on Monday and I’m sure will fill you in on everything. They are in for the most unique experience of their life. 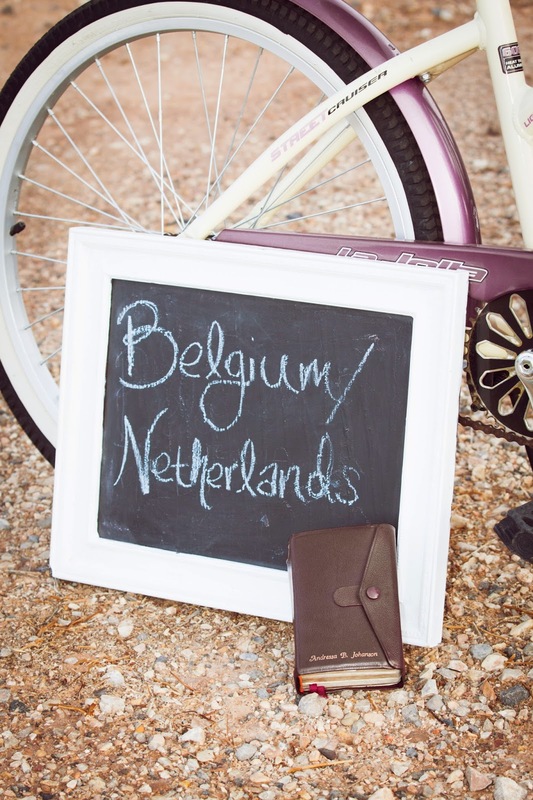 We are so pleased to have them join us here in the Belgium Netherlands. Thank you for your faith, commitment to the gospel, and sacrifice to send your sons and daughters to serve the Lord. Many blessings are awaiting your missionary, you and your family through their missionary service. We pray for you while they are away, and they are in our prayers at all times. Again, thank you for your sons and daughters.